Deadly fires have gutted two factories in Pakistan, killing at least 314 people. In both incidents, the blazes trapped many employees. Police are raiding homes searching for the factories' owners. 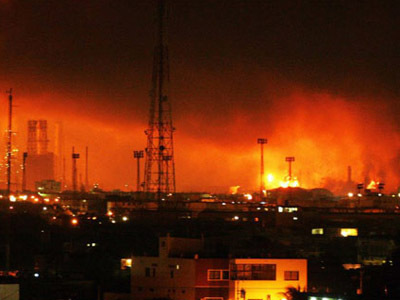 The fire in Karachi, the country’s economic capital, began on Tuesday evening and raged throughout the night, with some 40 firefighting vehicles and crews dispatched to combat the blaze. The five-story building was still smoldering on Wednesday morning. Some 289 people died there. Witnesses reported that the blaze spread at astounding speed, which left workers in the factory struggling to escape. The factory’s gates were closed, trapping workers inside. "I jumped from my seat as did others and rushed toward the windows, but iron bars on the windows barred us from escaping. Some of us quickly took tools and machines to break the iron bars," Mohammad Ilyas, an injured factory worker told the AP. "That was how we managed to jump out of the windows down to the ground floor." Fire raging at the factory building in Karachi. AP video still. ­Karar Abbasi, a doctor at a local hospital, reported that many of the survivors were injured after leaping from the factory’s windows to escape the fire. One of the survivors was a 27-year-old pregnant woman, who is now having fetal complications. Most of the victims suffocated in the smoke, Karachi Chief Fire Officer Ehtishamud Deen said. The cause of the fire has not been established. Wide of smoke rising from the factory in Karachi. AP video still. ­In Lahore, where at least 25 people were killed, the fire swept through a four-story shoe factory, which was illegally located in one of the city’s residential zones. "We saw our colleagues burning alive, in flames," Shabdir Hussain told Reuters from his hospital bed. "We could do nothing. We saved our lives by jumping from the roof." 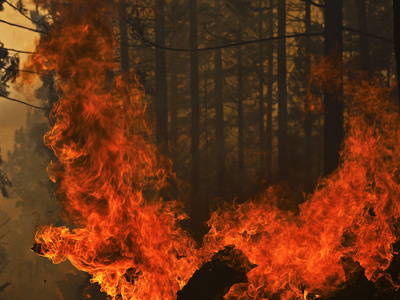 Preliminary reports attributed the fire to a faulty electric generator. The city’s power grid operates at an irregular rate, so many businesses and homeowners rely on generators powered by diesel or gasoline during brownouts. 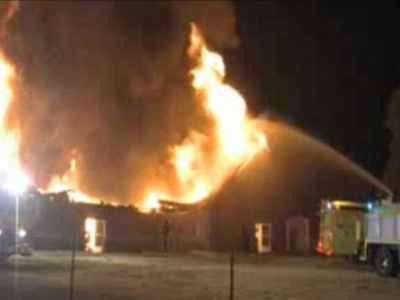 Sparks from a generator at the factory ignited chemicals used to make shoes, witnesses said. 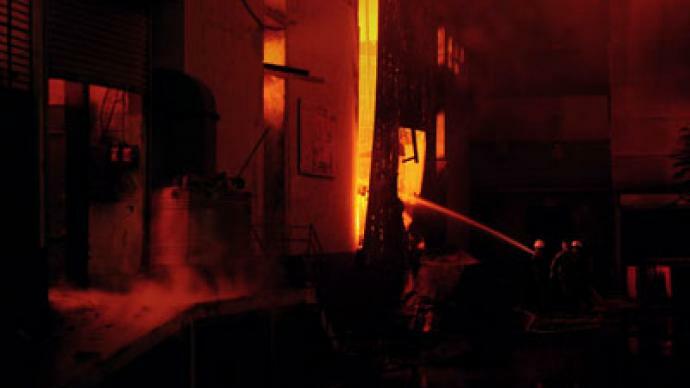 Firefighters dousing flames at the factory in Karachi. AP video still. Worker Muhammad Shabbir said that the fire started in the garage, which was also the factory’s only exit. Shabbir was outside the building when the fire took place, while his cousin, who also worked at the factory, suffered severe burns and later died in a local hospital. Firefighters broke holes in the factory's brick walls to reach the victims trapped inside.